The demanding conditions of the Baltic Sea and the Gulf of Bothnia are plain sailing for MS Viikki, the world’s first LNG-fueled bulk carrier. The solution, built around WE Tech’s variable frequency drive technology WE Drive and The Switch direct drive permanent magnet shaft generator, helps the vessel achieve Ice Class 1A propulsion, while still slashing fuel consumption, costs and emissions. It is a game-changer for ice-class operations. 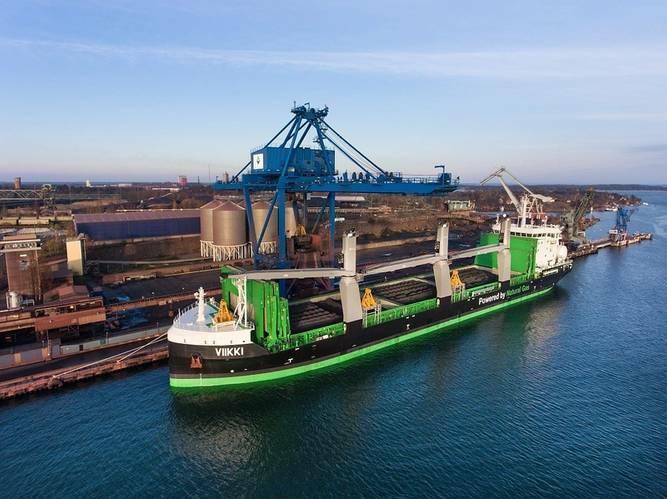 ESL Shipping is the leading carrier of dry bulk cargo on the Baltic Sea and the Gulf of Bothnia – an operating area that is both harsh, with significant winter ice coverage, and protected, as a sulfur emission control area (SECA). The company’s commitment to both optimal efficiency and high environment standards led it to consider an innovative range of solutions for MS Viikki and sister ship MS Haaga, both of which are designed in accordance with the EEDI (Energy Efficiency Design Index). LNG proved to be the most attractive fuel option, enabling the vessel design to cut CO2 emissions by more than 50% compared to traditional heavy fuel alternatives. Sailing in rough ice conditions is generally considered to be the most demanding sailing conditions for vessels, since sea ice can cause rapid changes in the main engine load. Therefore, the propulsion units need to be flexible, responsive and deliver optimal power per unit, while still meeting the most stringent environmental criteria. This is when WE Tech and Yaskawa Environmental Energy / The Switch technology came to the fore. The WE Tech solution utilizes WE Drive, the variable frequency drive technology, together with the market-proven The Switch PMM 1000 direct drive permanent magnet shaft generator. Using the Power Take Out (PTO) mode, WE Drive enables propulsion machinery to operate in combinator/variable speed, while the direct-drive permanent magnet shaft generator produces electrical power up to 700 kW for the vessel’s electrical network. This delivers significant savings by drastically decreasing the operating hours of the auxiliary generators – saving fuel and resulting emissions – as well as reducing maintenance requirements. When it comes to sailing smoothly through ice, WE Drive has another trick up its sleeve. For the most demanding conditions, Power Take In (PTI) mode can be selected. This converts auxiliary generator power to propulsion power by employing the direct-drive permanent magnet shaft generator as an electrical motor. In doing so, an added 1250 kW of mechanical power can be harnessed to boost the propulsion system, ensuring effective operation in Ice Class 1A. 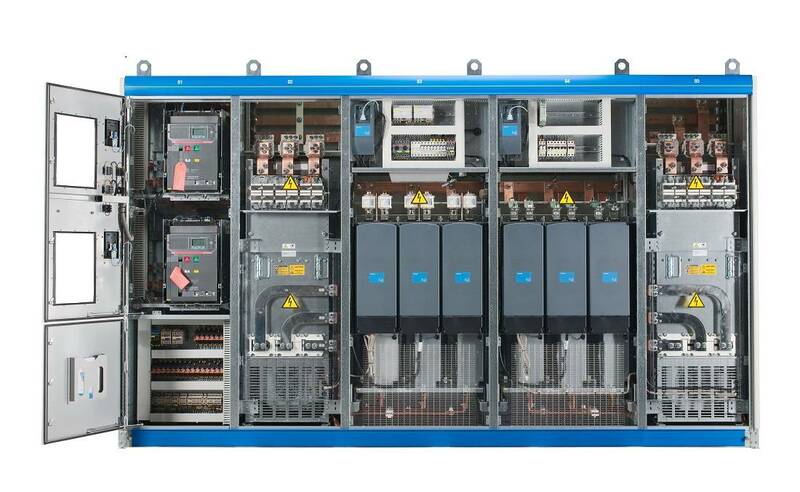 WE Tech's hybridization solutions display proven and highly reputed technologies that are now in operation on 30 vessels across a variety of shipping sectors, including 22 vessels with the support of The Switch permanent magnet shaft generators. These solutions provide a range of qualities that Juha Reinilä, Key Account Manager, Marine, Yaskawa Environmental Energy / The Switch, believes can help shipowners like ESL Shipping plot a future-proof route to enhanced sustainability and business performance. MS Viikki, the world’s most environmentally friendly bulk carrier, is now operating in the Baltic Sea. Upon leaving the Chinese yard, the 160-meter-long vessel made its way to Japan to collect its first cargo of raw materials before sailing to Finland via the Northeast passage. This shortened the journey by three weeks, compared to routing via the Panama Canal, and cut emissions by 40%.